Dal 18 Febbraio.. ogni Giovedi dalle 20.00 .. 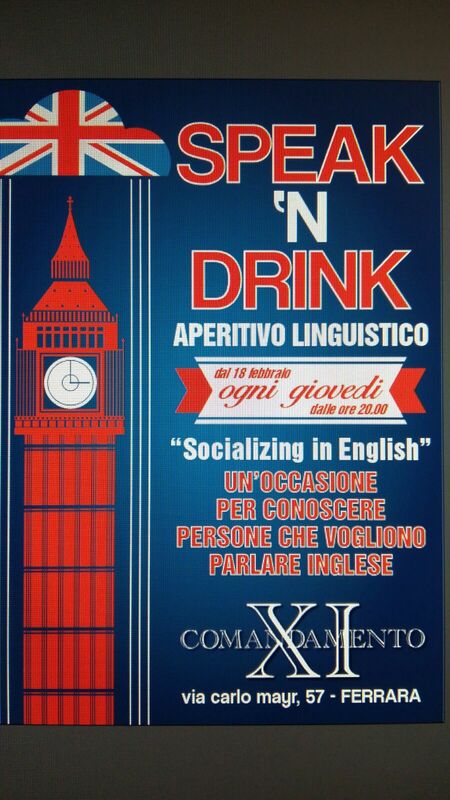 Looking for a great pub where you can meet other people who want to speak English just like you? Well then here’s your event! Every thursday, starting February 18, at XI COMANDAMENTO, you can stop by, have a pint of great beer and practise your English with people who want to do the same thing! It’s a great chance to speak in english with other students or business professionals in a friendly enviornment while getting the practise you need! ‘n Drink English night around!